Social media marketing is the most powerful, cost effective form of marketing on the planet and will be in the future. The internet has forever changed the way consumers interact with brands. 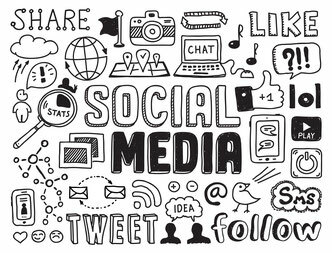 What is social media marketing, exactly? The most successful social marketing includes a mix of organic and paid social marketing because one supports and feeds the other. In order for social media networking to be profitable, you have to put time and effort into it, or have a professional manage it for you. If you feel that running a social media campaign yourself will compromise or dilute needed attention to other aspects of your business, consider hiring a trained professional to handle it for you. If there's one thing we've learned in our work is that that one size does NOT fit all when it comes to social marketing. Social media marketing needs to take into account YOUR audience, YOUR goals and YOUR messaging. Vibrant Digital Marketing specializes in social media. We can customize a social networking strategy based on your target customers that will help you achieve your goals. Wondering what results you can expect if you work with us? Click here to see typical results our social media marketing clients have received. Contact us today to get started with an effective social media management plan for your business!